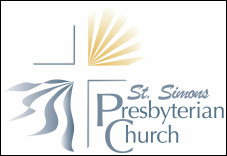 Join us for an adventure in mission and ministry as part of the BRIDGE Mission Program at St. Simons Presbyterian Church. This exciting program enables youth and young adults to build relationships and deepen their faith through hands-on service learning in Glynn County, Georgia. Led by the BRIDGE Mission Program staff and volunteers, groups serve in a variety of settings including homeless outreach, river/marsh cleanup, and local neighborhoods with an educational focus on the environment and the best practices for taking care of God's creation. We offer this program for high school youth over the summer as well as college groups during their school breaks in the fall and spring. If your group is interested in participating please let us know by completing the form below and/or by contacting the BRIDGE Director, Madelynne Risi (madelynne@sspres.org, 912-266-2220). Group Size: BRIDGE can accommodate up to 20 participants per week. Groups must have a designated campus leader. Ages: All students who have completed grades 6-12 are in cited to participate! ​Fill out the form below and we'll be in touch!